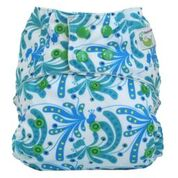 Sweet Pea Bamboo One Size All-in-One Diaper – Affordable, cute and absorbent! 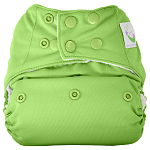 The Sweet Pea Bamboo All-in-One Diaper fits your baby from 8-35 pounds, featuring a three step snap rise for easy size adjustment. 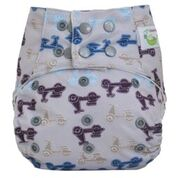 Lined with a soft and ultra-absorbent bamboo, this diaper is a fast dryer with no stuffing. 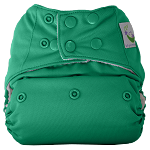 Sewn in soaker pad is bamboo fleece topped with bamboo velour for a soft comfy feel against babies bum. 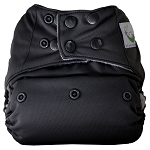 The snap in soaker allows for easy adjustment and is made of microfiber sewn between bamboo fleece. great for long car rides! Maybe you don't want to change a diaper in the icky grocery store bathroom. 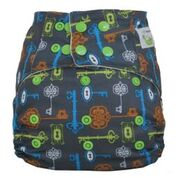 Maybe you have a just-slightly-longer-than-your-normal-diapers-last drive ahead of you. This is the diaper for you! 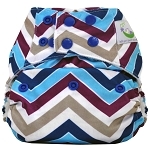 In addition to being really soft, the bamboo all-in-one from Sweet Pea Diapers can hold a LOT. Unlike other AIOs, this one also dries really quickly! 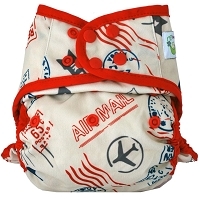 Fun colors, SUPER cute prints - all for a really reasonable price for an AIO! 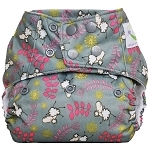 The Sweet Pea Bamboo is so soft and absorbent! I really enjoy the double snaps and cross over snaps because it helps prevent wing droop. 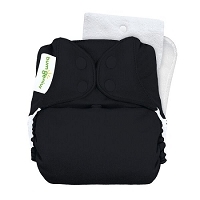 The snap in insert helps customize absorbency. They are easy to wash and dry fast! I recommend this style to all of my friends. This style AIO is so simple, no gimmicks. We love the new prints too! 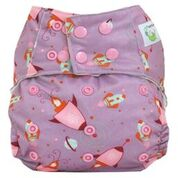 I've been using these diapers for a few months now, and overall, I like them. They are so soft, and very cute! 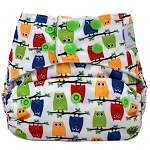 I have a very heavy wetter, so I have to keep an eye on how long I let my baby wear them, because she gushes too fast for them, and she tends to get leg leaks. But, if I'm paying attention, they work great. Also, I dry them on low in the dryer, and so I have been getting wear holes already (after around 4-6 months). But they are small holes, and they don't compromise function at all. I'm guessing if I air dried, they wouldn't be there. 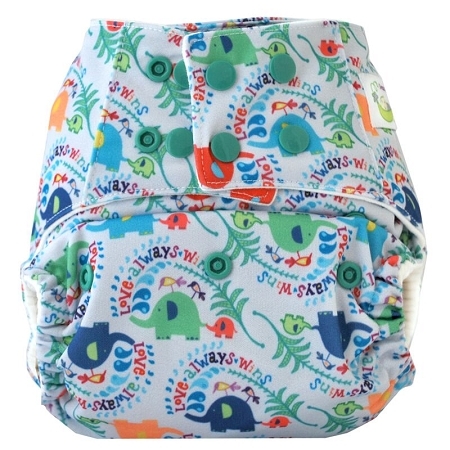 Overall, I really like these diapers. They are very easy to use. They are a great price! 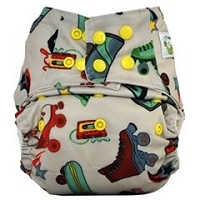 I would definitely recommend them to the average cloth diaper user. We love our sweet pea bamboo all in one. The pul is so soft and breathable. Softest pul I've ever felt. The interior is extremely soft because of the bamboo velour. I love how the four waist snaps let's us get an awesome fit without any sagging of the hip tabs. 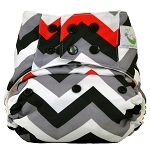 It is easy to get this diaper to fit even on tiny babies with the ability to overlap the tabs. I love that it is made of bamboo because of the natural fibers and the super absorbancy. My baby had very sensitive skin and natural fibers tend to leave him more comfortable and rash free. I have yet to have a leak or explosion out of our sweet pea all in ones. The extra snap in insert allows for adjustability on absorbancy and I could even use these over night. 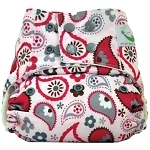 I love sweet pea's very cute and bold prints and colors. The snake soakers allow for me to add absorbancy where I need it.